Welcome to Indian Aviation Thread April 2019. Please continue to add your comments below. Where did they get the Bombay slots from? Or did they cancel 2 other flights from Bombay to use them for the above slots? I think JRG (Jharsuguda) is only the second airport in Odisha to be served by a big commercial carrier, after BBI. 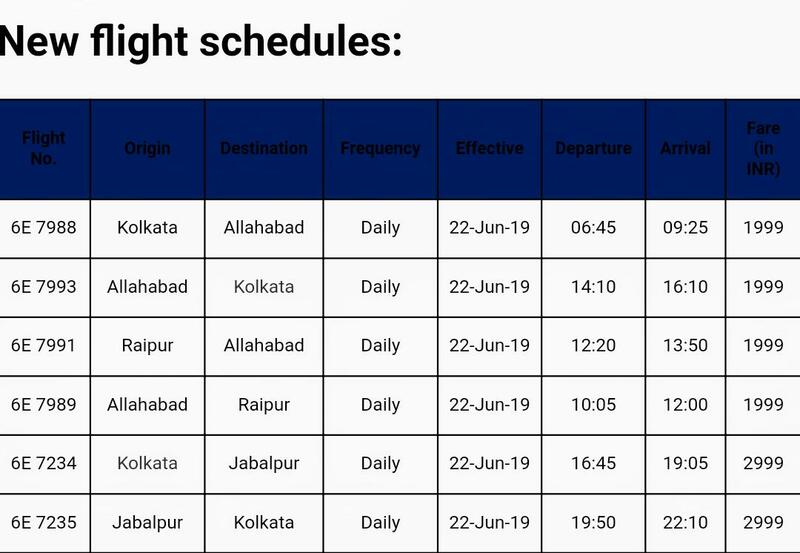 I don't think RRK (Rourkela) is served by any big airline. They cancelled other flights. One of them was an evening BOM-COK-BOM. True, JRG became the second airport of Odisha when it was inaugurated last year. Is this their 1st April announcement? Also GoAir started their second daily Mumbai-Kannur flight today, which is an afternoon departure. This, along with their existing midnight flight on the route. Kannur seems to be faring extraordinarily well for a new airport. They have attracted a lot of flights from Indigo, GoAir and Air India Express within a very short period of time. It has also turned out to be a very sought after airport for parking with multiple a/c of both 9W and G8 parked there. The only loser is IXE, which handles barely 2 million pax currently and is likely to lose a lot of pax to CNN. Is the capacity of IXE really 34m? The runway does not even have a parallel taxiway. I think one reason for CNN's outstanding success if the low tax rate on fuel (for I believe 8 or 10 years). This allows airlines to have a base there. Looks like they could make the runway much longer if they wanted! On another note......does Bangalore have the ability to add a 3rd runway or are they physically capped at 2 runways? 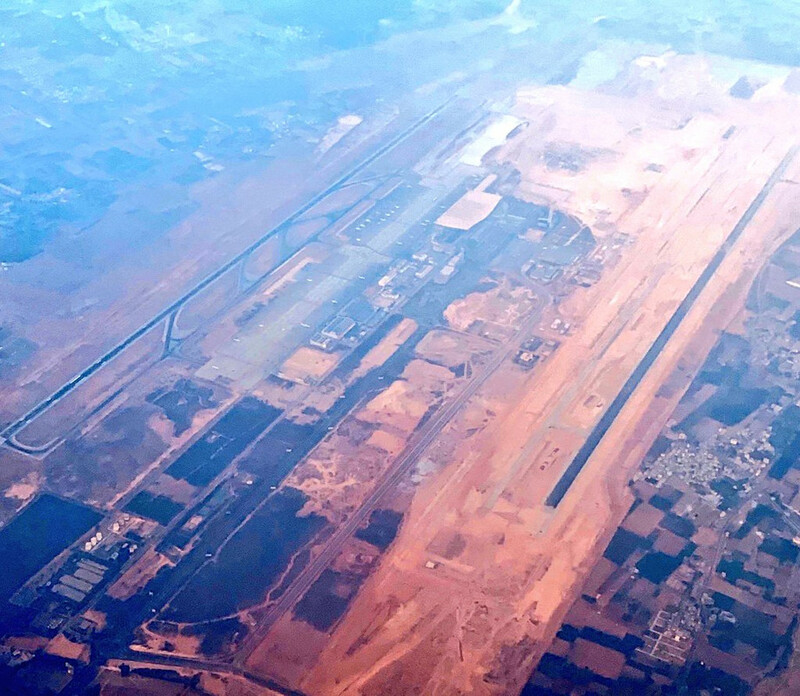 All major Indian airports should aim for 4 parallel runways with 200mn annual capacity. BUT, is that land currently unoccupied? 9W opens Booking for Surat-Amsterdam & Cochin-Amsterdam. Plans to make Surat & Cochin a hub for International routes & drop Mumbai as its HQ. And Aurangabad to Beijing too! Most wanted by twitterites! Trivandrum-Tokyo by Air India express via Hong Kong is very possible as there are a hell lot of Japanese & Chinese companies in TRV. Aurangabad-PEK is also very likely as the twitter mentions are above 100, so definitely there MUST be demand. Also lets not forget AMRITSAR-Vancouver-Toronto flights are also starting soon by Air Canada as "FlyATQ" campaign has more tham 50 mentions in past 1 day.. so definitely lot of demand on Twitter. Indian low cost carriers (LCCs) IndiGo and Spicejet have gone a step ahead in their plans of starting flights to the United Kingdom. This comes in the backdrop of the collapse of Icelandic LCC WOW Air. IndiGo has plans of going to London Stansted! Initial reports based on the court filing by Delta against JetBlue had shown IndiGo holding slots at London Gatwick. Back then, this website had not carried any article since slot filing, approval and returning of slots is a very common airline practice and continues from season to season. All airlines worldwide try to get slots at airports which are on their radar for immediate or near term expansion and return the same to the airport based on the deadlines defined by IATA. As of now, the airline continues to hold slots at Gatwick but the slots are not at same time daily which would have made the airline look at Stansted as an option for the flights to India. IndiGo just announced that it expects these flights to be huge success as, as per their research, humans don't need food, drinks, internet, entertainment, leg space or any other amenity to barely survive at all. If cattle can why not humans!!?? It's also recommending faint hearted people to reserve a hospital bed in arrival city before departure itself. April Fools aside, it's only common sense to think that if anyone is going on holiday, they set aside a budget for it and want it to be fun rather than a struggle. People travelling for business, paid for by their employers are very naturally not even going to think about this. I've already explained in previous posts why I think IndiGo is right in expecting success. Majority of the people commenting on the internet are current flyers, who know what to expect on long haul for X amount of money. IndiGo, OTOH, is tapping into a new crowd of flyers who will be WILLING to bear the "inconvenience" (and figure workarounds, FTW) of an LCC long haul flight. In a nation of 1 billion like ours, its not that difficult to find such people to fill planes. People who are "faint hearted" are most welcome to cough up cash and fly FSC. I could be wrong, but I have a strong feeling this is similar what the FSC managements were thinking 10 years ago when 6E arrived on the domestic scene. There is a general agreement among travellers that airfares have shot up. A close look reveals that pricing strategy by airlines is adjusting itself to the global benchmarks of revenue management. In other words, airlines are doing away with last-minute discounting strategies and fares closer to departure are higher than what they were earlier. For travellers used to low fares and last-minute plans, this is a nuisance. What were moderately higher fares have suddenly become exorbitant. And last-minute travel plans have been ruined. But for airlines, this was the only way to remain sustainable in the market, especially at a time when one of the airlines was in dire straits. Pricing is also a function of capacity and the demand is intertwined to that capacity. When capacity increased manifold in the market, seats were filled up by lower fares. Airlines were bleeding because they were selling below the cost price of the ticket. The capacity constraint in the market started in early December and continues to date, with the period from end February being the worst. A good article by Deccan Herald stating the plight of Indian aviation and the things government can do to make the lives of airlines better. Beyond a point we should start looking at what pax will do after getting off the plane. You don't have money to buy a FSC ticket but want to travel UK, eh? We don't have enough backpackers to fill entire a/c yet. In it's early days 6E gained a lot of business pax due to on time service when all other domestic airlines were pretty poor in this respect. Even today, 6E is what it is mostly because of its corporate contacts. It's only in recent times that people who would travel in 3AC are moving to 6E but will the same people go to Europe on vacations? Note: Fares on 6E in 2019 are much cheaper than AI in 2005, while AC Fares in railways have risen multi folds. No one whose ticket is being paid by their company will travel a long haul LCC, so I am not even considering them as possible pax for this flight. Where did you get this from? I assume that by "in early days" you mean 2008 or so . That was the time when 6E didn't have the network to win corporate contracts and so flew mostly budget flyers . Business pax during that time had lots of other options with AI , KF ,9W . In fact IIRC during those days , it was much easier to get award tickets in J than what it is today clearly showing that there was an excess of J capacity a decade back . Today 6E is capturing business traffic through its vast network all around the country . All the low lost long-haul carriers are in trouble. So Indian private carrier success formula ie., Currency heat(hot to cold) conversion rate> Operational losses is feasible only within the country. Operational costs of every frame type and airports fees are well known to the world, so does Indian tax rates. We just do it better so we are profitable theory doesn't hold water. Norwegian, WoW(gone) and Air Asia X(even FlyDubai) are not booming in LHLCC segment, Indigo dominating LHLCC is just wishful thinking. Paying airport fees at DOH, IST and code-share pass thru doesn't come cheap, to offer rock bottom prices to passengers. 6E started capturing business traffic from around 2012 coinciding with the demise of KFA. So Indian private carrier success formula ie., Currency heat(hot to cold) conversion rate> Operational losses is feasible only within the country. Can someone tell me if that statement is written in American English? While you may be right about Corporate or Company-paid trips and even Tourists, you're overlooking the VFR segment. Indian Diaspora in the UK is quite a big segment. These people hail from several states in India. There certainly will be people who will readily take up IndiGo's offering if it means that they can now (for example) visit family twice a year instead of once. Or make that emergency trip with cash to spare. I was thinking about this question for many days. Do flight routes like Delhi/Mumbai-Gorakhpur or BLR-IXD really need an A320 or B737? I flew from BLR to IXD last week and the load was just 30 to 40%. My friends also said that they had seen the same situation on Gorakhpur flights many times. So, aren't Indigo and Spicejet bleeding money by continuing such routes? To most people, the sky is the limit. For those who love aviation, the sky is the home. While I do not what VFR stands for, I do understand the fact that there may be lot more tourism if the visa fees for instance were halved or lessened apart from the ticket fees. I do hope that after Brexit (Whenever that happens) there is a discounting on visa fees so more people could explore England. Several of such routes, including BLR-IXD, come under UDAN and get govt subsidies. VFR means Visiting Friends and Relatives. Vistara has announced 7 new daily flights out of BOM including 5 on BOM-BLR for upcoming holiday season. 6E likely to start Aizwal ( Lengpui) from next month and introduce ATR ops at CCU.